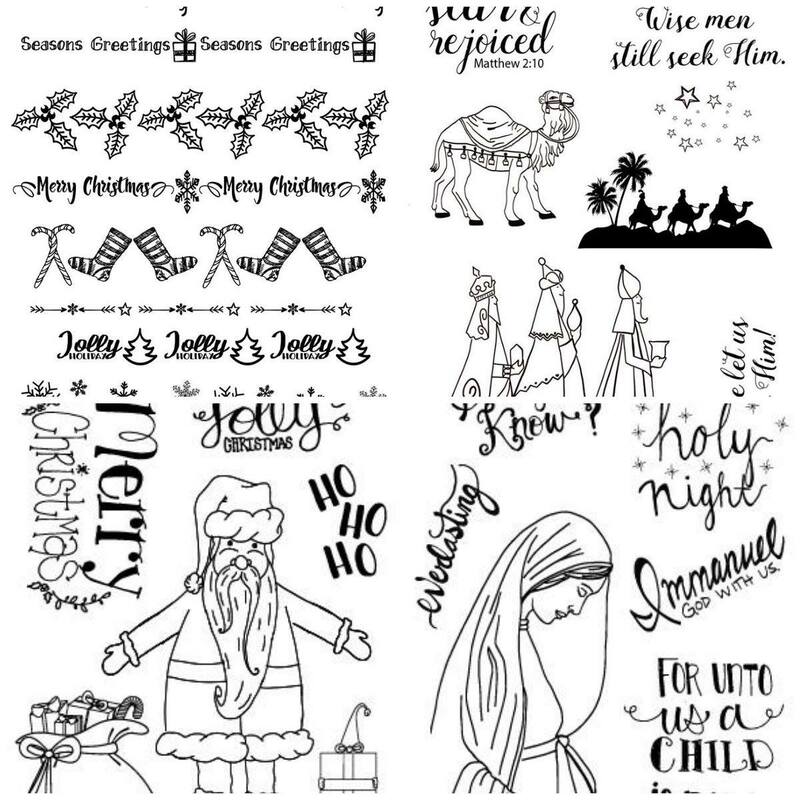 We have some great new stamp sets this month. I have to say I love them all. 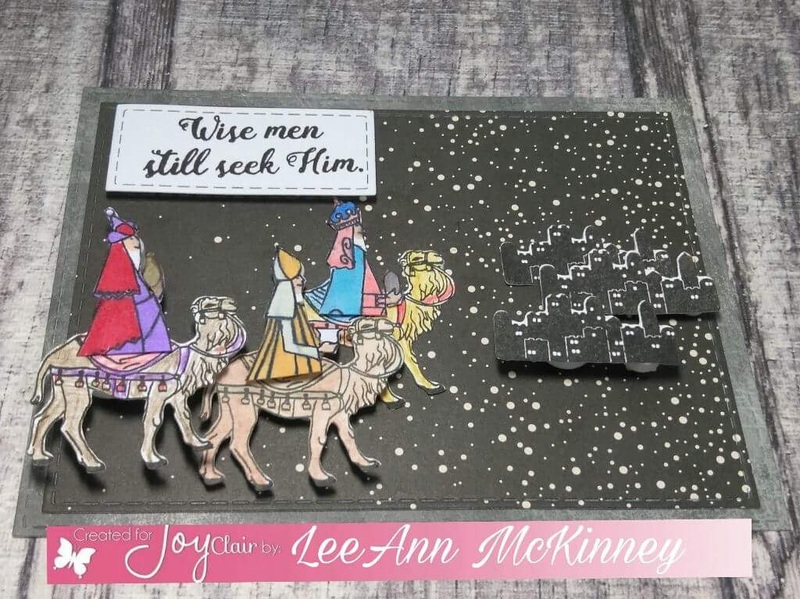 Three Wise Men is a great 4x6 set. With 3 sentiments and 6 images, two of which can be colored, this is going to make some great Christmas cards. 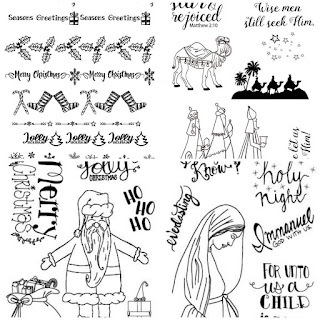 This set works great for Bible Journaling pages as you can see from my two projects. With this card, the background paper is from a Momenta 6x6 card stack. I thought it would make the perfect night background. The city scape I stamped 3 times as well as the camels, I then stamped the wise men once. I used my scan n cut to then cut them out and color. using dimensional adhesive for the 2nd and last layers I put the card together. The Wise Men are on the way to Bethlehem seeking the baby in the manger. With this journal page, I used distress inks to color the night sky and the desert land. Stamped the city with versafine, and the stamped the sentiment up top. Finished the scene off with the star brad and my page was complete. We have an awesome giveaway! Enter for a chance to win 1 of 2 gift cards of $25 dollars each one from the Joy Clair Store! You have until November 6th at midnight (ET) to enter. The winners will be announced on Joy Clair. Winners will be announced on Joy Clair Bog on November 30. 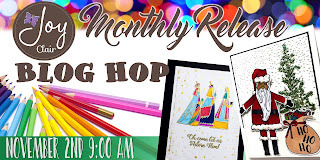 Dates of the blog hop: Nov 2 & Nov 3. Comments until Sunday November 6. Beautiful Christmas card and such a lovely Bible Journaling page! LeeAnn, your card is stunning and love the Bible Journaling page for sure! I love your Christmas card and also your wonderful journal page too. Great ways of using the stamps on this set. These are two wonderful projects! The city in the background of the card and the camels in the foreground looks awesome! 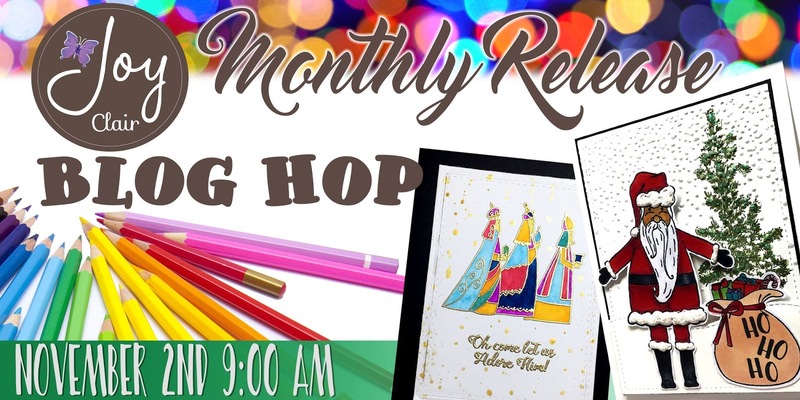 And lovely bible journaling! I think both project are beautiful! 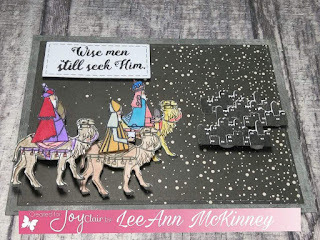 Love how you used the wise men on the camels...great idea! Both projects are amazing! Beautiful background for your pretty card! another great way to use this lovely set!! Beautiful Bible journal page and I like the starry sky on the first one.